I am still behind in sharing what is new in my kitchen. I scheduled nearly all of my September blog posts before we left for overseas and I am now aiming to get all of my October 2015 posts done at least two weeks in advance. I am hoping that by doing this, I will get on top of the ever growing pile of writing that I have to do. Thanks to Celia from Fig Jam And Lime Cordial for always linking me up, even if I have not had time to visit. 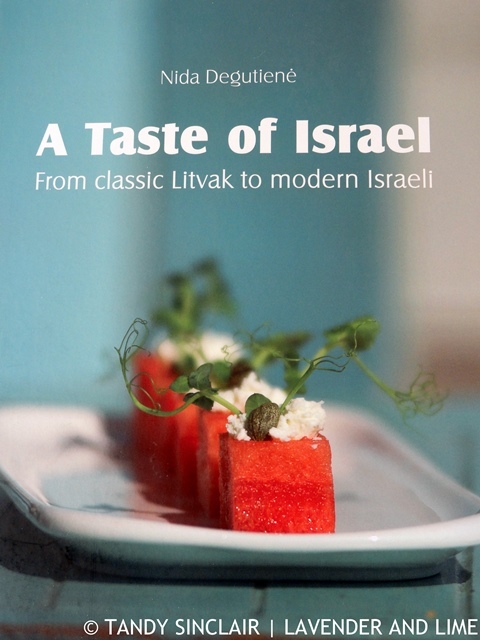 In my kitchen is my copy of A Taste Of Israel waiting for me to test a recipe of my choice. A friend of mine has a bay tree growing with great success in her garden. She gifted me a bunch of fresh leaves, with the promise of more when ever I need them. It makes such a difference to use fresh leaves as opposed to dried ones and I tossed out the few I had left over from before my sister moved to Australia. 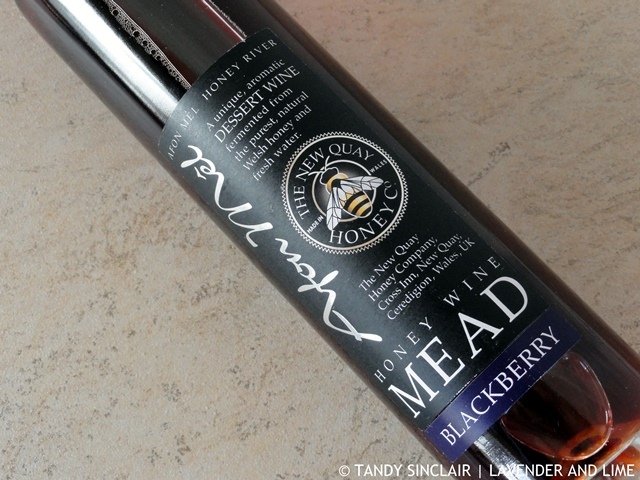 Dave, Mark and I tasted a variety of mead honey wines at Grassmarket in Edinburgh. Dave and I chose this one to drink while we were on holiday but instead it made it’s way home with us. I have wanted a cake lifter for some time to use for my bread making. 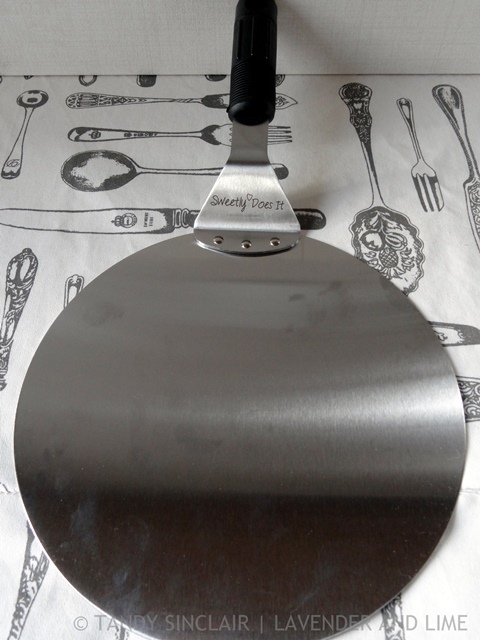 I had a gift voucher for Yuppiechef and so I bought this one, and have used it already to move my cheesecake onto the plate from the baking tin. It is a must have for any kitchen in my opinion. 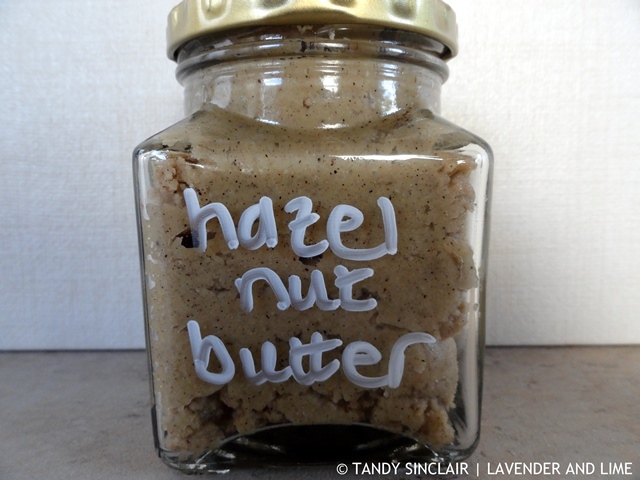 I want to make my own nut butters so started with hazelnuts. However, it is not ‘oily’ enough and I think that is because I did not process the nuts for long enough. I need to be very patient with my new blender (photo to follow soon!) as it took longer to process the pesto I made than my food processor would have taken. 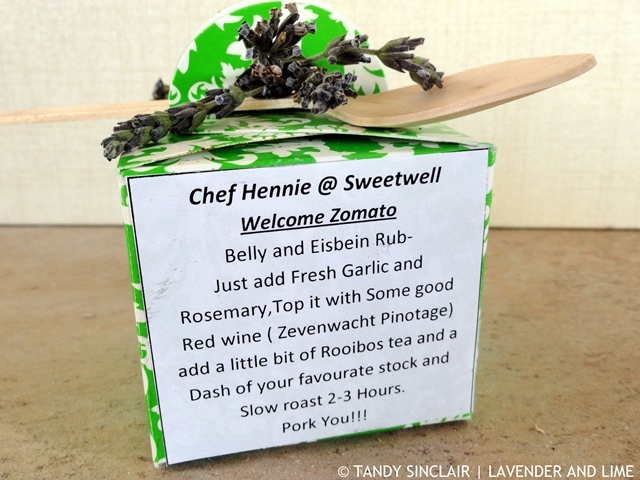 At the Zomato lunch hosted at Sweetwell we all received a gift of pork rub. I used it a few days later on pork chops that we had for supper and it is fantastic. I will have to make a few more pork dishes soon to make sure we use this while still fresh. This is another recipe book in my kitchen waiting for a recipe to be tested. I have already shared with you the quick rotis from the book and have one other recipe to share. 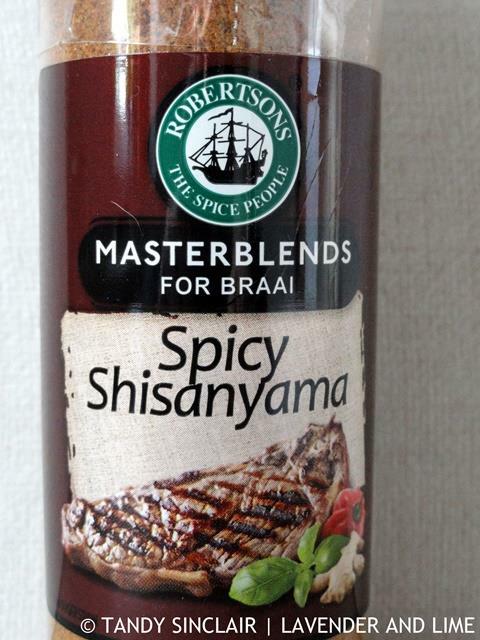 With my review copy of Road Tripping I received a bottle of Spicy Shisanyama spice blend. 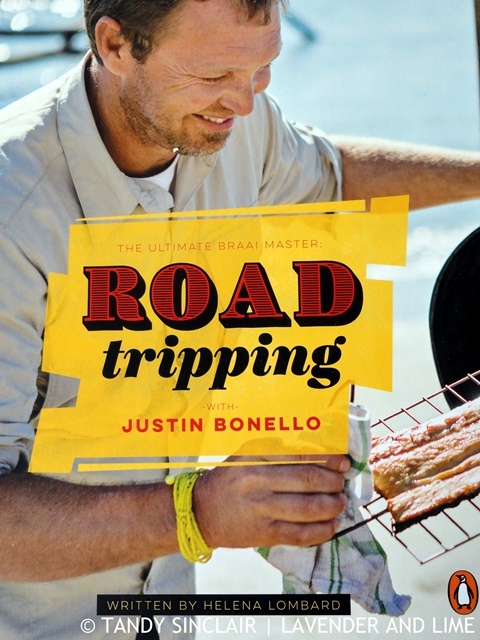 As Dave has 2 bottles of braai seasoning already I decided to gift this to James and Carli. 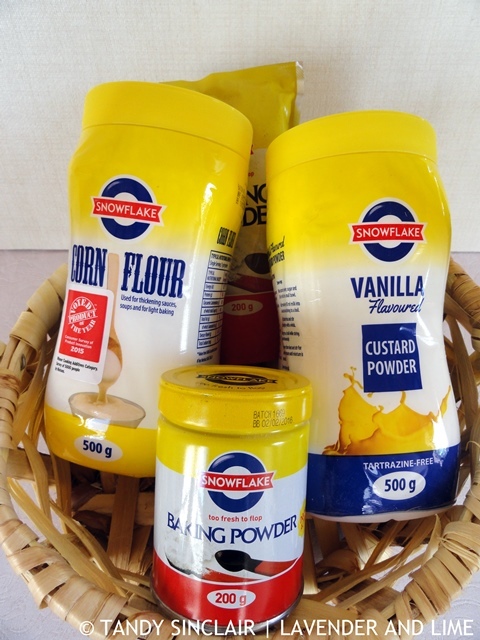 In my kitchen is another hamper from the lovely people at Snowflake. I am most excited by the basket, as I have longed to get one for ages to use when I harvest herbs from my garden. In my kitchen is my very own spurtle. I first saw this on Fiona’s blog and then on Liz’s blog and knew I would have to get one in Scotland. 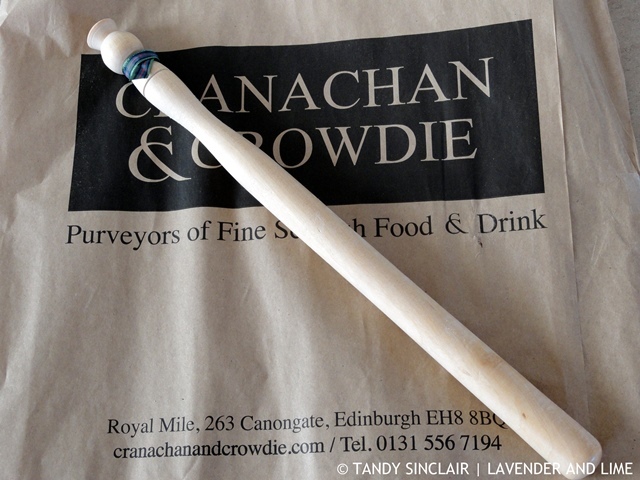 When we were in Edinburgh we walked past a shop called the Cranachan & Crowdie on the Royal Mile. This spurtle was made by Davey who is in his 80’s. It has been hand turned on a lathe that runs using a water wheel. The lathe belonged to his grandfather and the spurtle is made from Larch. Scotland is currently removing as many spruce tree forests as they can and will be replacing them with larch, holly and birch trees (if I remember correctly). Not wanting to let a visit to Charles de Gaulle airport go wasted I bought more mustard! 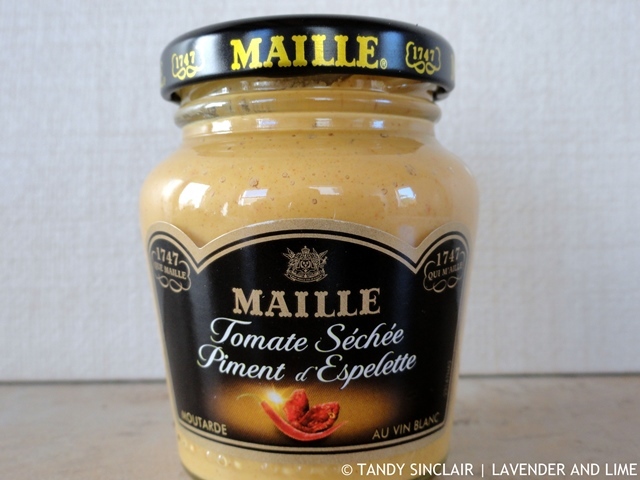 I doubt we will go back to Paris so I will continue shopping at the Maille stand for more interesting flavours. Waiting to be enjoyed with a meal that comes from my kitchen is my own bottle of The Gift Horse. We have friends who will be invited over to enjoy this with us. 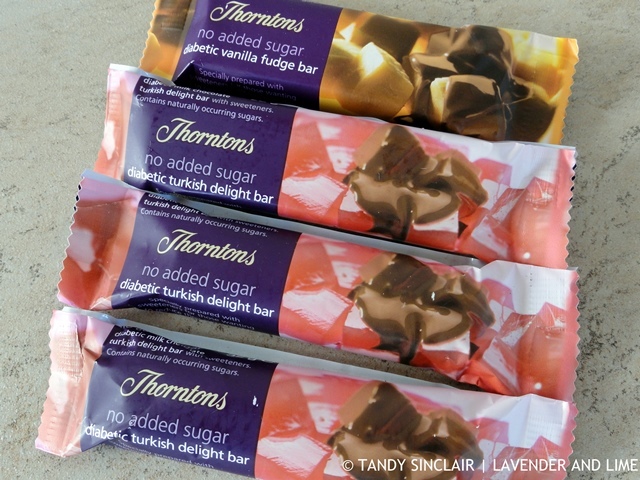 Even though we can get Thornton’s toffees and chocolates in South Africa, we don’t get the sugar free range. I got Dave to drive into Perth on the way back to the airport in Edinburgh to get myself some Turkish Delight. This is the one treat I always buy in the UK and I have one left. 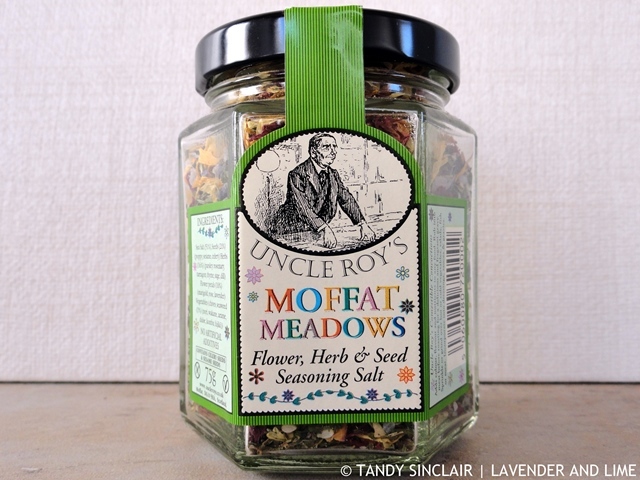 Last but not least is a different bottle of Uncle Roy’s Seasoning Salt to the one I bought back from our last visit. The previous one was all about the heather that grows in Scotland. This one is all about roses and lavender and adds a lovely flavour to corn on the cob. My but your kitchen is filled with good things. I’m going to have to look for that mustard. I have a bay tree that is sadly languishing in the backyard – awaiting some love after the renovation where it will take up residence in our new courtyard. Very jealous of that Maille mustard. I try to buy Australian wherever possible but always Italian for chickpeas and always Maille for mustard. I just love all the goodies in your kitchen, Tandy! Wow! Look at all those great delectable. I bet there’re lots of great recipe in that book. The Gift Horse is a bottle of wine. I am sorry I missed your spurtle! That book looks fabulous… and you cant beat fresh bay leaves. What a deliciously stocked kitchen. Tandy, I can’t begin to imagine trying to schedule posts (much less WRITE about and photograph) all the culinary goodies you’ve discovered on your travels. Well done! Glad you found a spurtle — that’s about as original and authentic as they come, I think! Still marveling over that cake lifter, too — never knew there was such a thing. Oh, the things I learn on IMK! 🙂 Safe journey, xo. Woo hoo! You found the spurtle! Hi Tandy, looks like you have some wonderful things in your kitchen this month. Take care! I just love all the delectables in your kitchen. I especially love that cake lifter you have. I’ve been wanting to invest in one and wasn’t sure if I should. I’m definitely going to now. Wow Tandy, what a lot you have in your kitchen this month. Fabulous stuff. 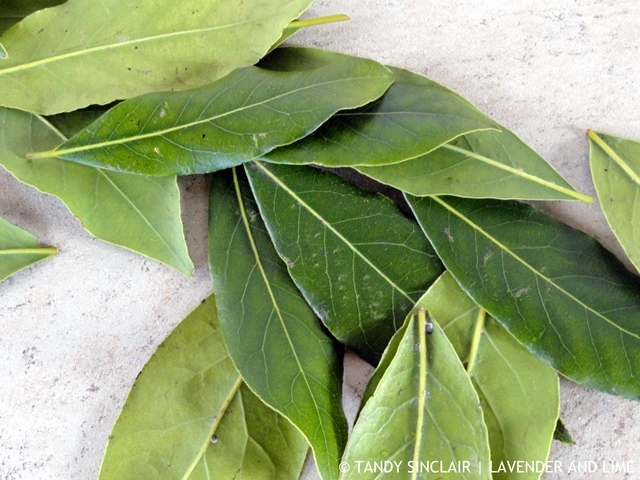 I could keep our entire village in supply of bay leaves – our tree is gigantic. I keep having to hack at it to keep it semi tame. Wow! You have 2 weeks of posts written out…your are way more organized than I have been lately and can’t seem to catch up…You also have so many interesting thing in your kitchen this week. Loving the fresh bay leaves and that cake tool is cool and you could use that with so many things. 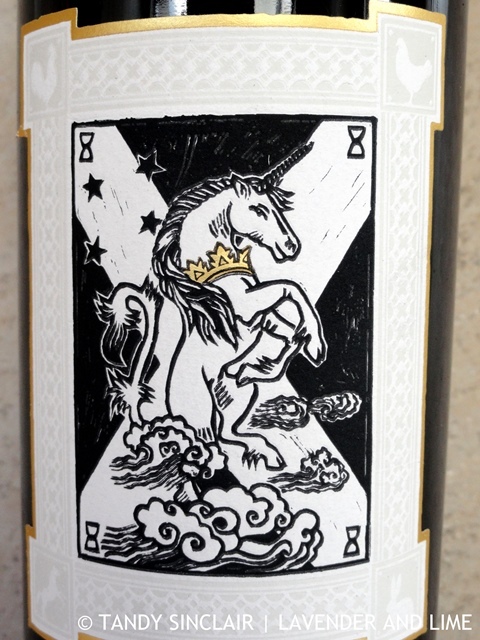 Love the look of that cake lifer – Tandy – and unicorn wine (?) that’s got to be good! The wine is very good Rachel!